Welcome to CollegeBoundNews.com and our "College Admissions Story-of-the-Day." Below are links to the latest news stories, reports and research about college admissions and financial aid. And, if you like this feature, join the thousands of high school counselors, teachers, students and their families, plus independent counselors and college admissions officers across U.S. and in 40-plus nations who for the past 30 years have read our monthly, award-winning newsletter COLLEGE BOUND: Issues & Trends for the College Admissions Advisor. Brown U. Brown states its Brown Promise initiative, replacing loans with scholarship funds, played a role in its attracting its largest applicant pool in history. It admitted 2,551 students from 38, 674 applicants. See, https://brown.edu/articles/2018/03/admission. Cornell U. The Class of 2023 at Cornell is the "most diverse" in its history. It admitted 5,183 students from 49,000 applications for an admit rate of 10.6 percent. Fifty-five percent of admitted students identify as students of color including underrepresented minorities and Asian students. See, news.cornell.edu/stories/2019/03/ . Dartmouth C. Dartmouth's acceptance rate declined for the third year in a row with 7.9 percent of the 28,650 applicants accepted. A record 16 percent of the Class of 2023 are first-generation students. About 40 percent come from low- or middle-income families. Nine percent are legacies. See, www.thedartmouth.com/article/s019/03/ . Harvard U. Regular-action decisions were sent to 1,950 students March 28. The Class of 2023 admits come from 89 countries and all states. International citizens comprise 12.3 percent of the class. See, http://www.harvard.edu/gazette/story/2019/03/. Princeton U. Princeton admitted 1,895 students for the Class of 2023, selected from 32,804 applications representing 10,813 high schools and 161 countries. Of those admitted, 52 percent are women, 48 percent men and 63 percent some from public high schools. See, https://www.princeton.edu/news/2019/03/28/ . The U. of Pennsylvania. Penn admitted 3,345 students to its 267th class from a pool of 44,960 applicants. The middle 50 percent testing ranges from 1460-1550 on the SAT and 33-35 on the ACT. the university meets 100 percent of demonstrated need for four years with grants and work-study. See, https:penntoday.upenn.edu/news/university-pennsylvania-regular-decision-results-class-2023. Yale U. For the last two years, Yale has expanded the size of its first-year class. The Class of 2023 will be 15 percent larger than the previous classes with 2,178 students admitted from 36,843 applicants.This year's group of admitted students includes more students receiving federal Pell Grants than any in Yale's history. See, http://news.yale.edu/2019/03/28/yale-college-admits-2178-students-third-years-expanded-class-size. Happy New Year. Stay Tuned for More Admissions News in 2019! Consumer Reports on "Smart Strategies for Paying for College." http:www.cosumerreports.org. "College Admissions: Let's Cut the Stress" The New York Times Opinion Piece. http://www.nytimes.com. Here is a roundup of the Ivy League Acceptances This Year. Dartmouth Sees All-Time Lowest Acceptance Rate; 97 Percent of Admits in Top Ten Percent of Their High School Class. www.dartmouth.edu. Other Postings: Stanford U. Admit Rate Drops to 4.3 Percent. http://www.standforddaily.com/2018/03/30. "Cinderella Story? It's True for U.M.B.C. Academics, Too." A New York Times Story March 17. www.nytimes.com/2018/03/17.
. All Teens Should be Screened for Depression, New Guidelines Urge. From Today. See, https://www.today.com/health . Who's Missing From America's Colleges? Rural High School Graduates. A Report from National Public Radio. https://www.npr.org. People Are Talking About ... Admissions Tips on Getting Into a Dream College. From The New York Times, Education Life Section. http://www.nytimes.com/educationlife. People are Talking About... True Gentlemen: The Broken Pledge of America\'s Fraternities by John Hechinger. Published by Public Affairs. According to the November 6 Washington Monthly, 3.9 Million Students Dropped Out of College With Debt in 2015 and 2016. http://washingtonmonthly.com. "What Colleges Want in An Applicant (Everything)." From The New York Times. http://www.nytimes.com. The College Board Releases it Annual Trends in Higher Education with Reports on Trends in Student Aid and Trends in Tuition Prices. http://trends.collegeboard.org/home. The Loneliness of the College Students. Article in the September 2 New York Times called \'The Real Campus Scourge.\"
Food for Thought: Getting In is the Easy Part. Staying There is Becoming Harder An Article in This Week\'s Washington Post. Summer Reading: \"How Smartphones Destroyed a Generation.\" A New Article in September\'s Atlantic Magazine, Now Available. Interview With the Author Also Featured on PBS\'s \"NewsHour\"
FORBES Magazine\'s 2017 Rankings of America\'s Top Colleges. College Degrees Actually Do Lead to Good Jobs, New Research From Georgetown University Finds. \"How America Pays for College.\" A New Report from Sallie Mae. About 75,000 students Applied for New York\'s First-in-the-Nation Free College Tuition Program, According to an Associated Press Report. Why Aren\'t Students Showing Up for College? A Podcast from NPR. \"How Universal College Admissions Test Help Low-Income Students\" From Today\'s New York Times. \"How Money Ranked the 2017 \'Best\' Colleges.\"
U.S. Secretary of Education Betsy DeVos Announces New Changes are Planned Regarding Regulations of Student Loans. People are Talking About: Harvard College Rescinds Acceptances to the Class of 2021 for at Least 10 Students Charging They Posted Offensive Remarks on Facebook. The National Association of Student Financial Aid Administrators Launches a New Website called NextStepsEd.com to Help \"Displaced\" Students. State Budget Cuts to Higher Education are Not Behind Tuition Hikes, New Report Argues. People are Talking About: A New York Times Analysis of the College Access Index reflecting the state of funding of public higher education, degree of diversity on campuses and the impact of it all on the economy. Consumer Reports Says it is Time to Boost College Savings Plans. \"When Colleges Dangle Money to Lure Students Who Ignored Them,\" May 24 Article in The New York Times. \"Solving the Mystery of Underachievement.\" New Article in The Atlantic. The \"College Openings Update: Options for Qualified Students\" (formerly known as the \"Space Availability Survey\") is Now Available from the National Association of College Admission Counseling. The U.S. Department of Education Announced This Week That is it \"Relaxing\" Financial Aid Process in Light of Computer Problems at the IRS. \"Best High Schools in America,\" According to New Rankings from U.S. News and World Report Released April 24. Brown Admits But 8.3 percent.\r\n Brown University in Providence attracted 32,724 applications for the \r\nClass of 2021, an increase from last year\'s 32,280, and an all time \r\nhigh. Brown admitted 2,722 students from that pool, including 695 who \r\nwere admitted Early Decision, for an admit rate of 8.3 percent. Students\r\n in the admitted class come from all 50 states and 77 nations around the\r\n world. See, www.brown.edu. Columbia U. Had Largest Applicant Pool in Its History.\r\n The Office of Undergraduate Admissions at Columbia University in New \r\nYork City received 37,389 applications for its Class of 2021, a 3 \r\npercent increase from last year. The admit rate for Columbia College and\r\n the School of Engineering and Applied Science was 5.8 percent this \r\nyear, down from 6 percent last year. See, www.columbia.edu. Cornell Places 5,713 Students on Its Wait List.\r\n Cornell University in New York received 47,038 applications for its \r\nClass of 2021, the most in school history. Cornell admitted 5,889 \r\nstudents from the pool and placed 5,713 students on its wait list. Over \r\n30 percent of the new class self identified as underrepresented \r\nminorities. See, wwww.cornell.edu. Dartmouth Accepted 43 percent of its Class Early.\r\n Dartmouth College in New Hampshire received 20,021 applications from \r\nits Class of 2021, a decrease of 3.2 percent from last year, and offered\r\n admissions to 2,092 students. Early Decision applications reached \r\n1,999, a 3.7 percent increase over last year. Of those, 555 students \r\nwere accepted early, and represent 47 percent of the new class. See, \r\nwww.dartmouth.edu. Harvard Admits 5.2 Percent.\r\n Harvard College received a record 39,506 applications this year, up 1 \r\npercent from last year. It admitted 2,056 students, including 938 \r\naccepted last December under its Early Action Program. Just over 15 \r\npercent of the admitted students are the first in their families to go \r\nto college. See, harvard.edu. Penn Admits 9.1 Percent While Announcing it is Increasing its Financial Aid.\r\n The University of Pennsylvania fielded 40,413 applications to the Class\r\n of 2021 and admitted 3,699 of them, a record low 9.15 percent. Penn \r\nalso announced that it is increasing its financial aid budget by $9.4 \r\nmillion. See, www.penn.edu. 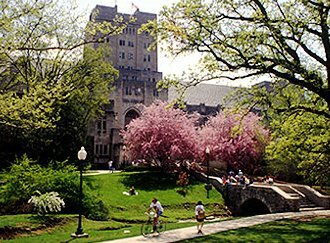 Princeton Admits 6.1 Percent.\r\n Princeton University in New Jersey received 31,056 applications and \r\noffered admission to 1,890 students, for an admit rate of 6.1 percent. \r\nSome 770 of the 1,890 offers were extended in December as part of \r\nPrinceton\'s single choice Early Action process. See, www.princeton.edu. Yale\'s Largest Class Ever.\r\n Yale University in Connecticut attracted 32,900 applications. Yale \r\noffered admissions to 2,272 of the students. The incoming freshman class\r\n is scheduled to be the largest class in school history with 1,550 \r\nstudents, 15 percent larger than recent classes. See, www.yale.edu. \"How Much Longer Will Students Be Willing to Go Away to College. Washington Post Report. The NCAA Academic Brackets for Men\'s and Women\'s Basketball Teams, According to Inside Higher Ed\'s Annual Rankings. \"The Undervaluing of School Counselors.\" In The Atlantic. The\r\n National Association of Student Financial Aid Administrators Issues \r\nAlert on March 9 About the Problems with the Internal Revenue Service\'s \r\nData Retrieval Tool and Its Impact on Student FAFSA Applications. NACAC\r\n Releases New Report on the State of Transfer Students. Did You Know 53 \r\nPercent of Transfers to Four-Year Institutions Come from Community \r\nColleges? More Low-Income Students Are Graduating From High School, But Where Do They Go Next? Forbes. How University Costs Keep Rising Despite Tuition Freezes. From The Atlantic Magazine. Time Magazine Reports on 50 Excellent Colleges Still Taking Applications for College. Consumer Reports on What You Need to Know About College Financial Aid Offers This Year. The Biggest Financial Aid News of 2016. From the National Association of Student Financial Aid Administrators. Kiplinger Publishes its \"Best College Values 2017.\"
Wesleyan\r\n U. Announced a New Four-Year Full-Tuition Scholarship Called \"The \r\nHamilton Prize for Creativity\" to be Awarded to a High School Senior for\r\n the Class of 2021. Deadline January 1, 2017. The\r\n New Results for PISA, The Program for International Student Assessment,\r\n are Being Released Today, December 6. In the U.S., 15-yesr-olds\' \r\nAverage Scores in Mathematics Declined. Science and Reading Literacy \r\nScores are Unchanged. The New FAFSA is Easier and...Harder. A National Public Radio Report. The College Board Releases its 2016 \"Trends in Education\" on College Pricing nd Student Aid. Chinese Education Company Accused of Giving Money and Gifts to Admissions Officers. The Wall Street Journal Releases its First-Ever Rankings of U.S. Colleges with The Times (of London) Higher Education. NACAC Releases its 13th Annual State of College Admissions. Guess What Matters Most to Admissions Officers? People are Talking About: How Big Data Transformed Applying to College. Happy Fall. And Welcome Back to COLLEGE BOUND. Have a Great School Year. Which Colleges Were Represented the Most at the Olympic Games? See the Count from the NCAA. To Communicate With the Members of the Class of 2020: Text. Beloit College Releases the Annual \"Mindset List\" of Trends. Forbes Releases its List of America\'s Top Colleges. Guess Who is No. One? People are Talking About: The New York Times Op Ed by Frank Bruni--\"To Get To Harvard, Go to Haiti?\"
Many\r\n Students are Not Applying for Financial Aid Because They Assume They \r\nare Ineligible, According to a New \"Data Point\" Study from U.S. \r\nDepartment of Education. Twenty-five Cities with the Highest (and Lowest) High School Graduation Rates. The Brookings Institution Releases Report, \"Do State Subsidies for Public Universities Favor the Affluent?\"
Consumer Reports: \"How to Make Free Community College Work for You.\"
The Times of Higher Education Out of London States That MOOCs Can Change Education....Just Not Yet. Too Rich for Financial Aid, Too Poor for College. Advice from U.S. News and World Report. Jack Kent Cooke Foundation Issues a Brief on How Colleges Can Increase the Diversity on Their Campuses. Breaking News: U.S. Supreme Court Upholds \"Race Conscious Decisions\" in College Admissions. Read the Ruling Here. Fifty-eight\r\n Colleges Say They Will Use the New Application Form Coming This Summer \r\nfrom The Coalition for Access, Affordability and Success. Asian American Coalition for Education Files Complaint Today Against Three Ivy League Colleges About Admissions Policies. New\r\n Gallup Poll Finds Americans View the Nation\'s Higher Education \r\nFavorably; 97 Percent Believe Students Need Education Beyond High \r\nSchool. NACAC Posts its \"Colleges Openings\" Survey of Colleges with Space and Financial Aid. People Are Talking About: \"The NEW College Application\" in Time Magazine, April 18. Malia Obama\'s College Choice and Growing Interest in Gap Year. Newsweek Magazine Report. Weekend Reading: Small Colleges Struggle to Keep Doors Open. A New York Times Report. What Students Should Do If They Are \"Stuck\" on a Wait List. A Report from NPR. \"College Affordability.\" A New State-by-State Report. \"How to Decode a College Financial Aid Award Letter.\" From Consumer Reports This Month. People are Talking About: \"America\'s \'Best\' High Schools. \"Colleges Put Thousands in Wait-List Limbo....\" Washington Post Report. \"Why Starting at a Community College Can be Smarter.\" Opinion Piece in The Washington Post. The U. of Pennsylvania Admits But 9.4 Percent of Applicants. Ninety-four Percent of Admits to Darmouth are in the Top 10 Percent of Their High School Classes. Seven Hundred of the Admits to Cornell U. are First-Generation Students. Yale Creates a Wait List of 1,095 Students for Class of 2020. Forty-seven Percent of Admits at Brown U. Identify Themselves As Students of Color. Princeton Selects from Largest Applicant Pool...Ever. People Are Talking About: Frank Bruni\'s Piece in The New York Times Called, \"College Admissions Shocker!\". Cuba to Now Be Included in Educational Exchange Programs. See White House \"Fact Sheet\" for Info. College Financial Aid Letters Just Got a Little Better (to Read, Anyway). Time Magazine\'s Take on the New Code of Conduct from NACAC. Weekend Reading: \"Three Surprising Skills That School Counselors Need.\" From Edutopia. \"The New SAT Brings New Challenges, Same Old Pressures....\" From The Boston Globe. Listen\r\n to the Confirmation Hearings for John King, Acting Secretary of \r\nEducation. Discussion About What to Do About Student Loans. \"How to Support a Student Who Received a College Rejection Letter.\" From The Philadelphia Public School Notebook. The New York Times Today: States are Looking for Ways to Promote Education in STEM by Cutting the Liberal Arts. The Christian Science Monitor Reports on How Colleges Award Financial Aid. \"Colleges Welcome A Growing Number of Home Schooled Students.\"
A Report on NBC News. The Washington Post Reports That the ACT Essay Scores are \"Inexplicably Low.\"
NPR Focuses on How Technology is Changing the Application Process. This month it is The Atlantic asking, \"What\'s Wrong With College Admissions?\"
People are Talking About...The New York Post Article, \"Former Yale Admissions Officer Reveals Secrets of Who Gets In.\"
\"Do Elite Colleges Lead to Higher Salaries? Only for Some Professions.\" A Report in The Wall Street Journal. College\r\n Admissions Officers and Scholars Sign on to the Mission of \"Making \r\nCaring Common.\" The Mission is Make the Admissions Process More \"Caring\"\r\n as Well. College Students Are Missing Out on Financial Aid, New Analysis Shows. Education Week Releases the 20th Edition of Quality Counts, a Report on Education in the States. New Tools and Resources Available for Applying for Federal Student Aid. President Obama Signed Into Law The Every Student Succeeds Act Which Had Bipartisan Support. See Details Below. The U.S. Supreme Court Revisits the Issue of Race and College Admissions. The New York Times Provides an In-Depth Look at the Issue. \"Are California Public Universities Harder to Get Into Today?\"
Think Global, Act Local: The OECD Reports on \"Education At a Glance\" Around the World. A Must Read. Weekend Updates: Article on Student Debt in The New York Times. We are Thankful for Our Subscribers. Many of You Have Been With Us for 30 Years! Happy Thanksgiving to All. The State of the International Student in the U.S. Open Doors Releases its Annual Report on the International Student. The College Board Releases its Annual \"Trends in Higher Education\" Report on College Pricing and Student Aid. Weekend Reading: \"The New Math Takes the Mystery Out of College Rankings.\"
New\r\n Regulations Will Protect Students from \"Unreasonable Fees,\" and Expand \r\nIncome-Repayment Plan, the U.S. Dept. of Ed Announced Today, October 27. New Study Finds That Law Schools Have Lowered Their Admissions \"Standards,\" Admitting Students Unlikely to Pass the Bar. Frank Bruni Writes Op Ed in The New York Times Sunday Called \"An Admissions Surprise From the Ivy League.\" Read More in Link Below. People are Talking About: The Article in the Current Psychology Today Called \"Declining Student Resilience.\"
Eighty Colleges Join Coalition Dedicated to Making the College Application Process Easier. See Website Launched Today. White House Announces There Will be an Easier and Earlier FAFSA. Read and Hear NPR\'s Report. Weekend News: The White House Releases New \"College Scorecard Saturday.\"
\r\n\r\nThe\r\n Families of Freedom Foundation Awards Scholarships to the Dependents \r\nof Victims of 9/11. See Website for Details on Applications. People Are Talking About: John Cassidy\'s Article in The New Yorker, \"What is College Worth? The Real Value of higher Education. Welcome Back to School! Have a Good Fall. America\'s Ten Most Innovative College Presidents, According to the Latest Issue of Washington Monthly. Also Included: College Rankings. New Report Out Called \"Summer Melt,\" Looks at Why Accepted Students Don\'t Go to College. From Harvard Education Press. Tips for Students Who Do Not Receive Enough Financial Aid. From the U.S. Dept. of Education. Forbes Publishes its List of \"Best Colleges.\" Pomona? No. 1. See List Below. Dramatic\r\n Increase in Students Needing Financial Aid. NASFAA, The National \r\nAssociation of Student Financial Aid Administrators Releases Report at \r\nits Annual Conference. A\r\n Record Number of Students Took the ACT in 2014, But Gaps in College \r\nReadiness Persist. Further Findings in New Report on College \r\nReadiness. New\r\n Urban Institute Report Argues Low-Income Students Often Miss Financial \r\nAid Opportunities and Urges More Information Sooner Rather Than Later. Most\r\n Students are Not Prepared Adequately for College, New ACT Report \r\nReleased Today Finds, But Low-Income Students are Particularly \r\nVulnerable. Money Magazine Releases Its Rankings of \"Best Colleges.\"
The Federal Government Releases a Revised List of Colleges for \"Heightened Cash Monitoring.\" See Web Site for List. Update: Sweet Briar Receives Double the Donations Expected, According to a Washington Post Report. Supreme Court Reopens Affirmative Action Admissions Debate. Lumina Foundation Issues New Book on How to Improve Financial Aid for Low-Income Students. \"Will Three-Year Colleges Make the Grade?\" A National Public Radio Report. New Survey of Students Outlines Their Attitudes Towards College Costs. Weekend Reading: College and Career Readiness Policies Outlined State-by-State. An Atlas from New America. Worldwide Rankings of Universities By Regions is Now Available. The 2015 QS Results Are Out. Public Research Universities: Why They Matter. A New Report from the American Academy of Arts and Sciences. New Poll Finds Public Gives Colleges Poor Marks for the Admissions Process and Job Placement. Graduation Gap Wider Than Enrollment Gap Between Rich and Poor Students, The New York Times Reports. New\r\n America Releases Report Titled, \"The Out-of-State Student Arms Race: \r\nHow Public Universities Use Merit Aid to Recruit Nonresident Students.\"
Weekend Reading:\r\n New Report, \"Universal Basic Skills: What Countries Stand to Gain,\" \r\nOutlines the Importance of Developing Basic Skills for Economic \r\nDevelopment. From the OECD. Private School Enrollment Falls, According to New Report From the National Student Clearinghouse. The\r\n Princeton Review Releases Survey of Teens and Parents About High School\r\n Life. For Example, \"What Motivates Students Academically?\"
Colleges That Still Have Openings. NACAC\'s Annual Listing. Updated Periodically. The Chronicle for Higher Education Reports on How Baltimore Colleges are Helping Baltimore Heal. Only\r\n 18 Percent of the Nation\'s Eighth Graders Are At or Above Proficient in\r\n U.S. History, One Percent Improvement in the Last Four Years. Geography\r\n and Civics? Not Much Improvement There Either. Corinthian Colleges Closed Campuses Worldwide. People are Talking About: Arizona State U. Launches \"First of its Kind\" Global Academy, Providing Freshmen \"Everywhere\" College Credit Classes Online. NBC News Follows Students in New Program About the Freshman Experience. Admits to the Ivy League. Editor\'s Note: Today, CB\r\n has posted the admissions news released by schools in the Ivy League as\r\n they were announced. Check back for updates. And for more details, see \r\nthe April and May issues of COLLEGE BOUND. Dartmouth Admits More Students from the West. http://now.dartmouth.edu. Early College Programs Boosting College Going Rates. Weekend Reading: Helping Parents Through the Storm. The Washington Post Blog on \"The Emotional Impact of College Admissions Decisions on Parents.\"
NACAC Releases New Report on the Importance of High School Counseling. The Aspen Institute Announces its Awards for Community College Excellence. See Who the Winners Are. Bloomberg.com Reports Sweet Briar Alumni Have Raised Money and Vowed to Fight the Closure of Sweet Briar College. White House Releases a Fact Sheet on \"Student Aid Bill of Rights.\"
Online Education Enrollment Continues to Grow in Higher Education, According to New Report. \"Community Colleges That Work.\" New York Times Editorial. The Los Angeles Times Takes a Look At the Pressure on Asian American Students Regarding College Admissions. New\r\n Documentary Series on History of Federal Student Aid Released by the \r\nInstitute for Higher Education Policy and the Lumina Foundation. See \r\nLink Below to Access Series and Obtain Info on How to Obtain a Viewing \r\nGuide. Weekend Reading: It\'s Confirmed: Teenagers are Increasingly Losing More Sleep. People are Talking About...\"The Promise and Failure of Community Colleges,\" an Article in The New York Times. The Gap in High School Graduation Rates Between Black and White Males Continues to Widen, According to New Report. What the President\'s Budget Means for Higher Education. An Analysis by The Chronicle of Higher Education. U.S. Dept. of Ed Publishes A Resource Guide of Materials to Help Students and Families Fill Out the FAFSA. ACT Launches New College and Career Readiness Campaign. See website for details. The Atlantic Magazine Takes a Look at Possible Problems with the New SAT. President Obama Proposes Making Two-Year Community Colleges Free for All \"Responsible Students.\"
The Chronicle of Higher Education Lists \"Five Things Colleges Can Expect From Congress in 2015. \"
Northrop\r\n Grumman Engineering Scholars Program Deadline is Approaching. Up to \r\n$10,000 Awarded to Graduating Seniors in Eight States. The Wall Street Journal Reports on Aid Programs Aimed at Middle Class Students. Almost Time for the FAFSA! Weekend Reading: The\r\n U.S. Department of Education is Calling for Comments About its Proposed\r\n New College Rating System. Why Not Add Your Two Cents? Kiplinger Releases its List of Best College Values for 2015. \"What Students Don\'t Know About Their Loans,\" According to The New York Times. More Than 600 Pledges Were Made at the White House Summit Aimed at Improving College Opportunities. See the Complete List. Graduating from College in Four Years is a Myth, According to a New Report from Complete College. Forbes Releases a Guide on Financial Aid with Charts on Expected Family Contributions. Happy Thanksgiving Weekend. We are thankful for all our subscribers and we thank you for all you do to help students acquire access to college. How President Obama\'s Action on Immigration Will Impact Higher Education. A Chronicle of Higher Education Report. USA Today Reviews Six Movies That, It Says, Really Depict College Life. Maclean\'s Magazine Ranks Canada\'s Top Universities. See Who is No. 1. Time Magazine Reports on What California\'s Tuition Hike Means for Higher Education At Large. People are Talking About...The Project on Student Debt Report on the Class of 2013. Just Released. How Much Does a College Really Cost? The College Board Releases its Annual Trends Survey of College Pricing. A New Report from Junior Achievement Finds One in Four of \"Millennial\" Students Believe Their Student Loans Will be Forgiven. Happy Veteran\'s Day to All Veterans and Their Families. Forbes Article Reports on Scholarships and Financial Aid Available to Veterans and Their Families. Weekend Reading: Student Loan Defaulters Aren\'t Who You Think, According to a New Report. NCAA Posts Higher Graduation Rates Among Athletes. A New Report Takes a Look at How the 50 States are Doing in Preparing Young People for College. See Who Gets the Highest Marks. How the Governors Races Might Influence Higher Education in the States. An Inside Higher Education Report. U.S. News and World Report Releases Rankings of Universities Around the Globe. Bloomberg\r\n Philanthropies Launches New Initiative to Encourage Low- and Moderate \r\nIncome High-Achieving Students to Go to College. Details Attached. With All That is Going On in the World, We Thought This Article Might Lift Your Spirits. Have a Good Weekend. People are Talking About: Does Princeton U. Really Get 10 Times More Tax Dollars Than Public Universities? See The Atlantic on This Topic. The Chronicle of Higher Education Reports on How Colleges are Responding to Ebola Threats. National Student Clearinghouse Releases Data About the Transition of Students from High School to College. Employment of College Grads is Looking Up, According to the Latest Annual Survey of Employers by Michigan State U.
MONDAY\r\n MORNING NEWS: Western Governors State U. Enrolls 50,000 Students in \r\n15 Years and Becomes One of the Nation\'s Largest Nonprofit \r\nUniversities. Big Ten Conference Announces it Will Guarantee Scholarships for All Four Years for Student Athletes. The\r\n Number of Students Taking out Loans for College Increases, According to\r\n Pew Research Released October 7. But the Biggest Increase is Among More\r\n Affluent Students. The College Board Releases Profiles of the 2014 Test Takers. See, Results for the SAT, PSAT and AP tests. U.S.\r\n Dept. of Ed Awards $96 Million to Improve the Access of Minority \r\nStudents to Colleges and Universities. List of Those Receiving Awards \r\nAttached. Community College is Guaranteed to Chicago High School Students Earning a 3.0 GPA, Mayor Rahm Emanuel Announces. \"Holistic\"\r\n Admissions Increases the Diversity of the Students Enrolling in the \r\nHealth Professions at Colleges and Universities Nationwide, New Study \r\nFinds. U.S. Dept. of Ed Announces New GEAR UP Grants to Help Low-Income Students Get to College. Time Magazine Reports On One Major Reason Student College Costs are Increasing. The Washington Post Article on Issues at NACAC: \"College Admissions Chiefs Worry How Will Students Find Them.\"
Quest Bridge is Making Increasing Impact on the Enrollment of Low-Income Students in Colleges. New University Innovation Alliance Has Been Formed to Improve the Graduation Rates at 11 Public Universities. Kaplan Survey Finds College Admissions Officers and Guidance Counselors Have Different Opinions About the New SAT. The New York Times Reports on What Some Colleges are Doing to Increase the Economic Diversity of Their Students. The U.S. News and World Report Releases its 2015 Best Colleges, Today, September 9. The 75 Best Colleges for Food in America.... Not Necessarily for Reasons You Might Think. New Survey Finds That 44 Percent of Students Do Not Believe They Will Be Able to Pay Back Their Student Loans Until Age 50. Weekend Reading:\r\n How Does Tuition Discounting Really Work? In a New Report, the \r\nEducation Commission of the States Takes a Look at Tuition Discounts at \r\nPublic Colleges and Universities. Complete with Diagrams and Charts. Low-Income Students Still Rare at America\'s \"Elite\" Colleges, According to The New York Times. You\'ve\r\n Heard it Before, We\'ll Say it Again: \"Guidance Counselors Key in Bid to\r\n Increasing Overall Access to College.\" Article in diverseeducation.com. What Do Americans Think of the Current State of Education? New PDK/Gallup Poll Released This Morning. Only 39 Percent of U.S. Students are Prepared to Go to College, According to ACT\'s Latest Report. Donations to Colleges Increased 5.4 percent Last Year, According to College Fundraisers, Slighly Higher Than Last Year. Weekend Reading: The Just-Released Article in The Atlantic Called \"The Future of College?\"
NCAA Will Appeal the Federal Court\'s Ruling. See the Statement it Released This Weekend. Judge O\'Bannon\'s 99-Page Brief on Why He Ruled Against the NCAA. Christian Science Monitor Reports on Ways to Stop \"Summer Melt.\"
More Parents, Fearful of Burdening Their Children with Debt, are Saving for College, According to Another Survey of Parents. To\r\n Improve Retention, Colleges Need to Focus on Students Who are Near \r\nGraduation, But for Some Reason, Dropout of School, According to New \r\nResearch Report. Parents\r\n are Paying More Out-of-Pocket Expenses for their College Students. \r\nStudents are Borrowing Less, According to New Survey from SallieMae. Who is Today\'s Admissions Officer? NACAC Takes a Fascinating Look in New Report. Sixty of the Nation\'s Largest Urban School Districts Join \"My Brother\'s Keeper\" Initiative. See Plan and Listing of Districts. U.S. Dept. of Ed Announces it Will Reprocess FAFSA Applications with Errors From a Misplaced Decimal. Forbes Magazine Reports That Financial Literacy Gap is Costing College Graduates Thousands. Why a Liberal Arts Degree is Important for the New \"Artisan Economy,\" the PBS News Hour Reports. Community College Students Have Less Access to Federal Student Loans, and Suffer as a Consequence, New Report Argues. Graduates in STEM Subjects Likely to Have Jobs, But Not in STEM Fields, U.S. Census Bureau Finds. High School Graduation Rates Improve; So Does College Enrollment, According to New Report. U.S. Dept. of Ed Releases a List of the Most and Least Expensive Colleges in America. Colleges Initiate New Efforts to Reduce \"Summer Melt.\"
Indiana\r\n and Tennessee Are at the Center of Discussions About the Benefits of \r\nProviding More Financial Aid to Community College Students. A New Wrinkle in the FAFSA Applications May be Leading to Some Students to be Disqualified for Aid. New Interest Rates for Direct Student Loans Posted, Effective July 1 for 2014-15. Tuition Discounting at Record High, According to New Study of College Business Officers. People are Talking About: \"The Ivory Tower,\" a Documentary That Opened June 27, Nationwide. A New Report from the Education Trust Focuses on the Issue of Linking Federal Aid to College Rankings. New World Rankings of Universities is Out: China on the Road to Becoming World\'s Leader in Higher Education. Fraternities Are Under Greater Scrutiny as Colleges Investigate Sexual Assaults. Colleges Focus on Retaining the International Students They Recruit. President Obama Issues New Memorandum on Student Loan Repayment Plans.http://www.whitehouse.gov/the-press-office/2014/06/09/presidential-memorandum-federal-student-loan-repayments. Enrollment at Private Four-Year Colleges is Up, But Down Slightly Overall. People are Talking About... Time Magazine\'s Article on Why Students Should Take a Gap Year. Student Loan Interest Rates Will Increase for the 2014-15 School Year. First\r\n Lady Michelle Obama Launches \"Reach Higher Initiative\" to Encourage All\r\n Students to Reach for Education Beyond High School. See Web Site for \r\nDetails. Asian Students Outperform Other Students on College Readiness Measures, According to New Report from the ACT. How Many Applications to Colleges is Too Many? Reuters Has Some Surprising Answers. Waitlisted for College? Here\'s Why. From the National Association of Student Financial Aid Administrators. Supreme Court Upholds Ban on Affirmative Action in Michigan Case. See Court Ruling in Link Below. U.S. News and World Report Releases its Latest Rankings of High Schools. Rankings of Schools Strong in STEM Subjects Also Ranked. College Attainment Increased in the U.S. Last Year. But the U.S. is Still Being Outpaced by Other Countries. The College Board Releases Sample Questions for the Newly Redesigned SAT. Fifteen\r\n Ways, in 15 Different Papers, to Reform the Way We Give Student \r\nFinancial Support for College. From the Lumina Foundation. Parents are Saving More for College, According to New Report. New Survey Finds Disturbing New Gender Gap Among Students Planning for College. New Public Private Partnership Will Promote College and Career Readiness With Service Programs. What The Washington Post Learned by Going Inside Admissions Offices at George Washington U. The State of Higher Education in California: More Students are Going Into Debt, According to New Report. The\r\n Princeton Review Releases the Results of its Annual Poll of College \r\nApplicants and Their Parents on Their Dreams, Hopes and Worries. Use of the SAT Declined in 29 States Over the Last Seven Years, According to Analysis by The Washington Post. A Realtor\'s View of the Best College Towns in Which to Live. College Costs and Financial Aid Top Concern of College Freshmen in Annual Survey by UCLA. News Flash: The College Board Announces its Plan for Redesign of the SAT. NPR Program Discusses the Pros and Cons of a Gap Year. The President\'s New Proposed Budget for 2015. What it Says About Postsecondary Education and College and Career Readiness. New Report Reveals the Aspirations and the Outcomes for Men of Color at Community Colleges . The Institute of International Education Calls for the Doubling of Students Who Study Abroad. Here is Their New Initiative. College Enrollment is Expected to Grow to 2020. New U.S. Dept of Ed Analysis in 194-page Report. Who\'s On First? New World Rankings of Colleges Reveal a Shift in the Names of the Colleges at the Top of the Lists. The\r\n Debate About the Value of a College Degree Continues. A New Urban \r\nInstitute Report Argues A College Degree Matters, With Variations Among \r\nIndividuals and Institutions. \"Colleges Respond to Growing Numbers of Learning Disabled Students,\" According to Washington Monthly Article. New Report Argues Community Colleges Benefit Students as Well as Society. Pew Research Center Issues Report on the Impact of Not Going to College. Donations\r\n to Colleges are at an All-time High, According to New Report from the \r\nCouncil for Aid to Education Released Today, February 12. More\r\n Students, Including More Low-Income Students, are Taking Advanced \r\nPlacement Classes, According to a New Report from the College Board Out \r\nToday, February 11. Many\r\n Students in For-Profit Colleges Are Not Aware They Have Other Options, \r\nAccording to New Report From Public Agenda Released Today, February 10. Which Country Sends the Most Students to the U.S.? \"Student and Exchange Visitor Program\" Report Looks at Who Comes from Where. ACT\r\n Finds There is an Untapped Pool of Students Interested in STEM \r\n(Science, Technology, Engineering and Math) But Who Don\'t End Up \r\nPursuing It. The\r\n Documentary Film, \"First Generation\" Will Make National Tour in Event \r\nCalled \"Go College,\" Sponsored by Wells Fargo. See Web Site for List of \r\n10 Cities. \"High School Grades Matter Most in College Admissions,\" According to New Survey From NACAC. In His State of the Union Speech, President Obama Calls for Greater Support for Access to College, Early Childhood Education and Job Training Programs. See Text or Video of Speech. College Endowments Went Up in 2013, New Study Finds. Deadline Near for High School Women Who Want to Apply for NASA\'s Aerospace Scholars Program. Early College Students More Likely to Enroll in College, New Study Finds. Indeed, Liberal Arts Majors Fare Well Over the Long Run Compared to Other Majors, New Report States. \"The\r\n complete education gives one not only power of concentration, but \r\nworthy objectives upon which to concentrate. The broad education will, \r\ntherefore, transmit to one not only the accumulated knowledge of the \r\nrace but also the accumulated experience of social living.\" Martin \r\nLuther King, Jr. The Christian Science Monitor Reports on \"How Linkedin, Twitter and Facebook Changed College Admissions.\"
National Summit on College Affordability to be Streamed Live January 16 Starting at 9 a.m.
White House Announces New Promise Zones Initiative That Includes Partnerships With Local Colleges. The New GED Test Released January 2 with Increased Connections to College and Career Readiness. Happy New Year! And Welcome Back. COLLEGE BOUND\'s January 2014 Issue is Online. Check Out the Current Issues. Happy Holidays. Peace on Earth. Good Will to All. The Editors of COLLEGE BOUND. \"The False Promise of \'Holistic\' Admissions.\" An Article in the December 17 issue of The Atlantic. People are Talking About... \"When the First in a Family Go to College\" from Minnesota Public Radio. College Enrollment Declines for Second Year in a Row, According to New Report Out Today, December 12. U.S. Dept. of Ed Highlights the Features in its New Financial Aid Toolkit. Time Magazine Reports on \"The High School Guidance Counselor Shortage.\"
Student Debt Climbs for the Class of 2012.
International Test Scores Released with Rankings. U.S. Students are... \"Average.\" See Full Report for Details. \"Does Education Pay?\" New Analysis in Issues in Science and Technology. Will Getting Into College Be Easier in the Future? The Los Angeles Times Takes a Look. Moody\'s States that 40 Percent of Colleges Face Declining or Stagnant Tuition Revenue and Enrollment. U.S. News and World Report Releases Its Rankings of \"Best Colleges for Veterans.\"
The Number of International Students at U.S. Colleges and Universities Increases Seven Percent, Says \"Open Doors\" Study. Word to the Wise: \"Colleges May Love You GPA, Then They Saw Your Tweets,\" The New York Times Reports. The\r\n Nation\'s Report Card on Reading and Mathematics Released. Hispanic and \r\nFemale Students Do Better in Math. Male Student Scores Remain Flat. College Summit Calls for New Programs and Policies to Help Students Become \"Smart Shoppers.\"
People Are Talking About...\"Robots or Aliens as Parents\" in The New York Times Sunday, An Article on the \"Creativity\" in College Admissions Essays. The Jack Cooke Foundation College Scholarship Program is Now Open. Deadline: November 5. The Council of Independent Colleges Launches a New Campaign for a Liberal Arts Education. Graduation Rates for Athletes Continue to Rise, According to New Figures from the NCAA. Tuition\r\n Increases for In-State Students at Public Universities Lowest in 30 \r\nYears. This Stat and Others Are in the College Board\'s Latest Survey of \r\nTuition Trends. New Report Argues That Low-Income Students Need to Apply for Financial Aid Earlier Than They Do Now for Full Benefit. The Common Application Reports on Efforts to Improve its System and Begins Daily Updates of Progress. The New York Times \"Room for Debate\" on... Study Abroad. Worthwhile or a Waste of Time? How to Help Students See That Setbacks are Temporary. The Daily Beast Releases its Own College Rankings Based on Graduation Rates, Affordability and Future Earnings. Private College Tuition Rates Increase 3.6 Percent. Where\r\n Will Students from Around the World Study in the Coming Years? The U.S.\r\n is Still a Top Destination. But China is Coming on Strong, a New Report\r\n Suggests. MIT\'s President Speaks Out in Time Magazine on the Impact of Online Learning. The Default Rate on Federal Student Loans Continues to Rise, U.S. Dept of Ed Reports. How a Government Shutdown Would Impact Higher Education. U.S. Department o Education Offers New Guidance to Admissions Officers on Increasing Racial Diversity at Colleges. Only 43 Percent of SAT Takers Prepared for College Level Work. America\'s High School Counselor\'s Struggle to Meet Student Needs. U.S. News and World Report Story. Northeastern University Survey Finds Employers Want College Graduates Who Can Write and Communicate. Graduate School Enrollment Increases Slightly, Thanks to the Increase of Foreign Student Enrollment. U.S. News and World Report Releases its Annual Rankings. Congressional Budget Office Outlines Options for Changing Pell Grant Program. New Report. New Report Argues the Need for People Trained in the Humanities Has Never Been Greater. New Survey Finds Teen Interest in STEM Areas is Declining While There is an Increase in Need in the Fields. New Analysis Finds State Appropriations to Higher Ed Inch Upward. See State-by-State Report. Yet, It\'s Not Just Students Who Have Debt. Public Universities Have a Problem, Too, According to New Report. President Obama Outlines His Plan to Combat Rising College Costs. Are Students Prepared for College and Careers? Some Are, Others Not So Well. See New ACT Report. Who Has the \"Coolest\" Colleges? Four Out of Five College Students are Working Their Way Through School, according to new Citigroup and Seventeen Magazine Survey, and Paying for Much of Their Own Expenses. Students\r\n Who Complete Certificates or Two-Year Degree Programs are More Likely \r\nto Get a Bachelor\'s Degree, According to New Study. Safest Colleges in America? StateUniversity.com creates its own list. Federal Student Loans Now 3.86 Percent; Will Rise and Fall with Market Rates. One in Three U.S. Adults are Helping with College Expenses and 71 Percent are Worried About the Burden, New Survey Finds. Too Many Low-Income \"College-Indending\" Students Fail to Enroll in College \r\nFollowing Their Senior Year of High School, According to New \r\nHarvard Study. A New Sallie Mae Report Called \"How America Pays for College,\" Notes Families Face Unexpected Expenses. Federal Student Loan Debt of Current Borrowers Tops One Trillion Dollars, According to New Government Report. NOW AVAILABLE: THE APRIL ISSUE OF COLLEGE BOUND. CHOCK FULL OF THE LATEST STATS ON THE ADMITS TO THE CLASS OF 2023. FEATURE ARTICLES: Admissions Watch: Admit Rates at Many Colleges are Lower: A Roundup of the Latest Admissions Number from Massachusetts to Missouri, New York to California. News Update: In the Wake of the Admissions/Bribe Scandal, New Resources Emerge to Help Make Sense of it All. Enrollment Trends: Reports on New College Completion Data and Black Students Status to Who Wants to Go to College? and Who is Enrolling in Canadian Universities? Counselor's Bookshelf: New Guide Book for Students with Learning Differences, A Look at History in Colleges and A Book on European Schools. Curriculum Capsules: A New Astrobiology Minor, a Program on Fashion Marketing, New Carer Training Programs and STEM Degree. Plus, a New Medical Training Program and a New Bachelor of Technology. Scholarship Scoops: For Engineering Students, First Generation Students and for Study in Australia. And, News You Can Use: On Global Warming ant Tests; "Augmented Reality" on One Campus and Top Teen Worries. NOW AVAILABLE: The March Issue of COLLEGE BOUND. FEATURE ARTICLES: Admissions Watch: Changing Demographics Impacting Admissions: A Look at Universities in California, in Particular. But also Florida, Ohio and New York. Updates: On How Regular Admissions are Faring at Schools That Reported Early Admissions. Financial Matters: Loan Delinquencies. The Impact of Student Debt. The Outlook for the Higher Education Act Reauthorization. Student Assistance in Ontario, Canada. And, Scholarship Scoops. Counselor's Bookshelf: The Story of Black Colleges and Universities. The "Truth About Student Success." And Where Can Students Get the Biggest Bang for their Buck, so to speak. CURRICULUM CAPSULES: Cornell's New Track on "Health Equity." A New Major in Hospitality and Tourism. New Degrees in cyberpsychology, business analytics and "esports." And, News You Can Use: New Test-Optional Schools, with their exceptions. The Case for Using Testing in College Admissions. New College Looks to Recruit Latinx. Ohio U. Unveils New Resource. A Report on the State of Native Americans in Higher Education. FEATURE ARTICLES: Admissions Watch: More Early and Regular Decision Apps. A Look at the Numbers in a Variety of Schools. Liberal Arts Colleges: How are Some Colleges Faring? Financial Matters: The Federal Government's New Financing Plan. How Ohio Strives for Affordability. Utah's New Debt Forgiveness Plan. Free Application Days Boosting Application Numbers. Colleges Facing a Financial Crisis. And, Poverty on Campus. The Counselor's Corner: Trends to Watch in 2019: Enrollment Trend in the States. Despite National Trends, Where are Some Universities Boosting Enrollment? Are Community College Students Transferring? What are Some International Trends? And, is a Football Championship Good for Enrollment? Counselor's Bookshelf: On the liberal arts in a digital world. Who is Considered a "Green College?" A Resource for Undocumented Students. A Study: Does Online Education Live Up to its Promises. And, a Resource for Internships as well as Scholarships. CURRICULUM CAPSULES: On Environmental Sciences, Top Graphic Design Programs, Curatorial Practices and Exhibitions. And, is the Science Gender Gap Closing? A Bleak Future? A New Analysis of the Coming Demographic Dip. And, of Course, News You Can Use. FEATURE ARTICLES: Admissions Watch: Tracking Early Applications. The Stories Within the Early Reports. Financial Matters: New Programs to Support the Middle Class, Funds to Assist Specific Areas. Where Tuition is Frozen. Plus, New Resources on Financial Aid. The Big 10 Fall Returns. The Application Numbers for the Universities in the "Big 10". The Counselor's Corner: Enrollment Trends. From the Big Picture to Individual Colleges. Counselor's Bookshelf: Books on "The Boy Crisis," European Schools, Public Education Reform, Scholarships and Other Resources. CURRICULUM CAPSULES: On Top Business Schools, Internships and Study Abroad, Medical School Option. And, of Course, News You Can Use. What Is Inside the December 2018 Issue? FEATURE ARTICLES: Admissions Far and Near: Are There More (or Less) International Students on U.S. College Campuses? Are Selective Colleges Harder to Get In? How Can We Boost Graduation Numbers? Is Social Media Impacting Admissions? And a Look at Admissions Efforts on Individual Campuses. Early Apps: A Roundup of Some of the Early Decision Numbers. Enrollment Trends: On Separate and Unequal Tracks; On California Latinx Students; Higher Education Analytics; A Look at Enrollment at Penn State. Financial Matters: Default Rates Rising? New Programs to Bridge the Gap; Reports on FAFSA and Financial Counseling; Tuition Shock; And, Are Parents Saving for College or Going in Debt? COUNSELOR'S BOOKSHELF: From Podcasts to Digital Badges in College Admissions. And, Of Course, Curriculum Capsules, Scholarship Scoops and News You Can Use. FEATURE ARTICLES: The Greene Report: Taking Time Out Before College with Advice on Addressing Fears About the Gap Year and Descriptions on the Kinds of Gap Year Options. FINANCIAL MATTERS: Who is Saving for College (or Not), How America Pays for College and the State of Aid in the States. ADMISSIONS WATCH: How One College is Confronting Declining Demographics, Who Sees Increases in Enrollment. COUNSELOR'S BOOKSHELF: Resources on Affordable Rankings, Internships and Paying for College. CURRICULUM CAPSULES: On Cybersecurity, Neuroscience and Other Programs. NEWS YOU CAN USE: On Changes for the Common Application, Teens and Social Media, Business School Enrollments and More. FEATURE ARTICLES: Fall 2018 Apps and Admit News Continues with Updates from Maine to Tennessee, Minnesota to Georgia. ENROLLMENT TRENDS: In the South, East, Midwest and West. FINANCIAL MATTERS: On Who is Expanding Financial Aid, Who is Making College Free; Plus, News of a Scholarship, or Two. COUNSELOR'S BOOKSHELF: On AP Q&A's to New Video Series on the College Search. CURRICULUM CAPSULES: Ranging from Veterinarian Medicine to Biomedical Sciences. NEWS YOU CAN USE: On Admissions Cards and More Test Optional Policies. FEATURE ARTICLES: California Bellwether for Higher Ed Trends. Plus, Updates on the Class of 2022 Admissions. FINANCIAL MATTERS: News on FAFSA Completion Rates, The State of Aid in the States, News on Default Rates ... and More. THE COUNSELOR'S CORNER: A GPS for College-Bound Families. COUNSELOR'S BOOKSHELF: A Word or Two About Rankings. OTHER STATE NEWS: From Georgia to Minnesota. And, a little News You Can Use.